While his early compositional style was predominantly influenced by Telemann, Johann Friedrich Fasch developed his compositions in extraordinarily innovative directions. 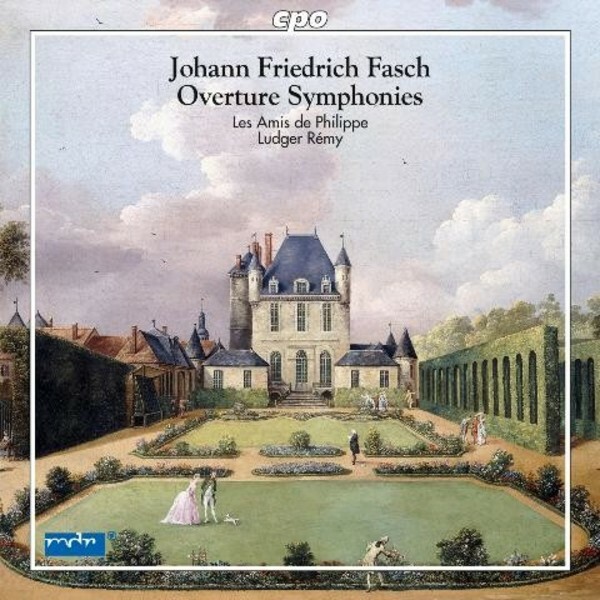 This disc, devoted to his original concept of the Overture Suite (a combination of the French overture and Italian sinfonia forms) exemplifies this, while illustrating the musical ideals of the late baroque period. 3 World Premiere Recordings: Overture Symphonies in F major, G major (FWVK:G5) and D major (FWVK:D1).